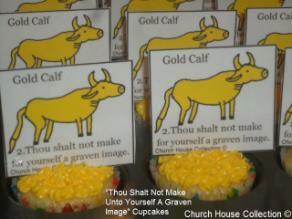 Yourself A Graven Image Cupcakes"
"Golden Calf Cupcakes For The Second Commandment"
I made these 10 commandments "Thou Shalt Not Make Unto Yourself A Graven Image" cupcakes. 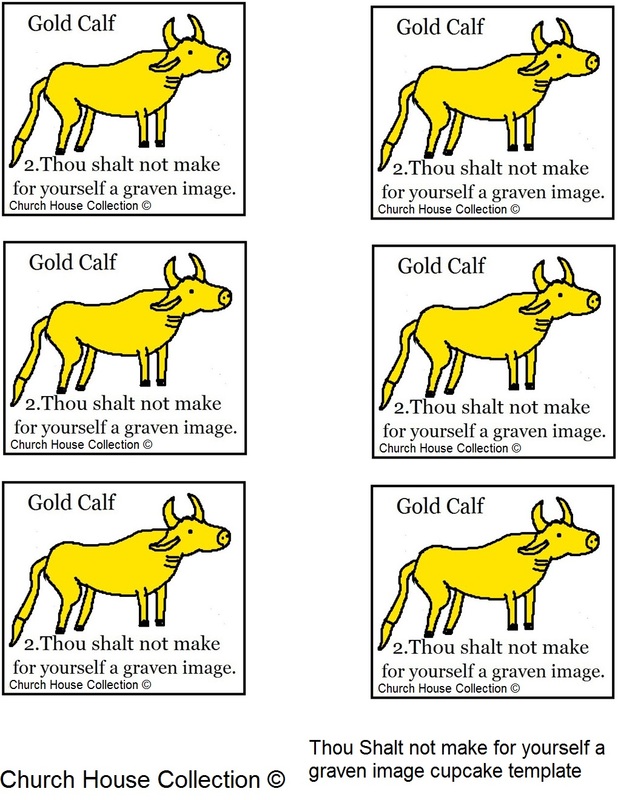 You can make these for your Sunday school class or children's church class by just printing the free template of the golden calf. Then just cut the pictures out and laminate if you want. 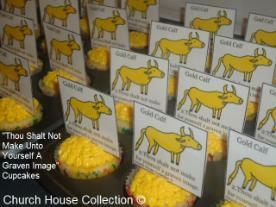 Tape a toothpick to the back and stick down in cupcake. 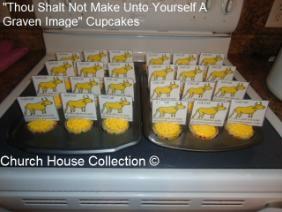 I made yellow frosting to go on top. 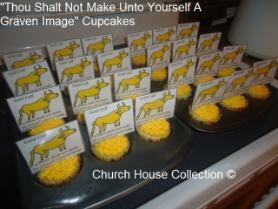 This snack goes along with the 10 commandments. This is the 2nd commandment.